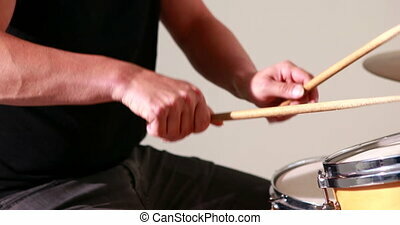 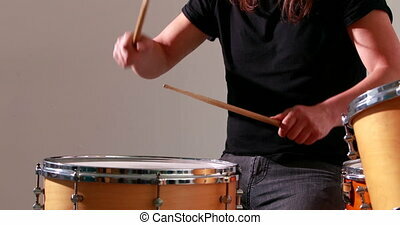 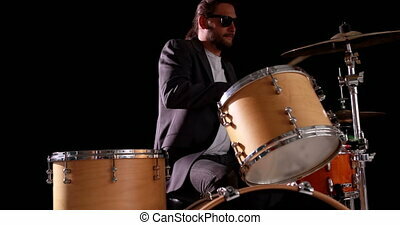 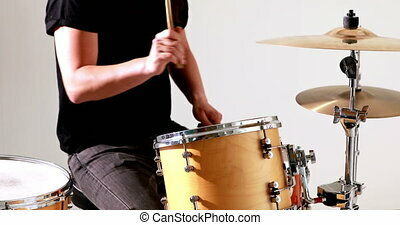 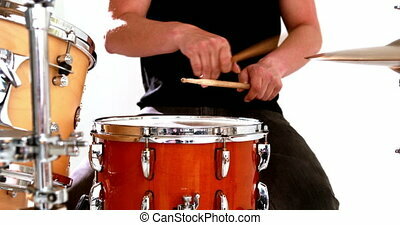 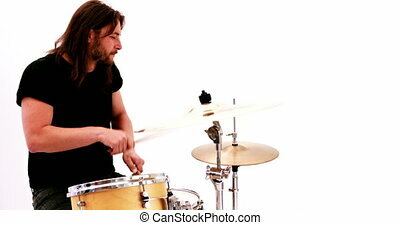 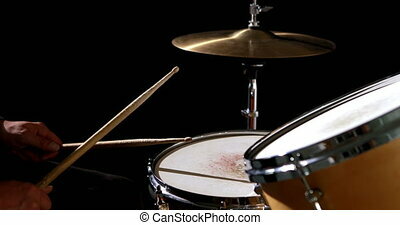 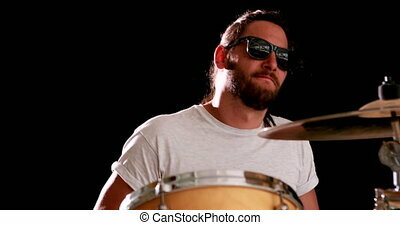 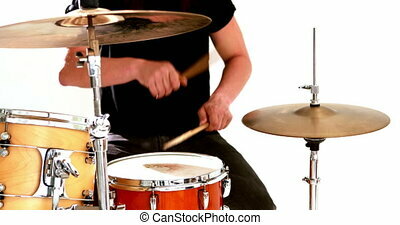 Drummer playing his drum kit on white background. 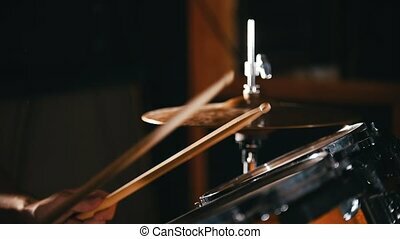 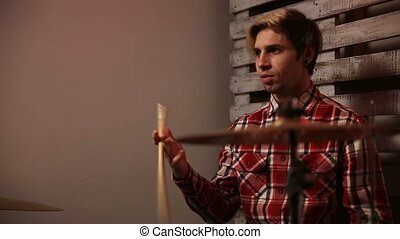 Handsome hipster fumbling drumstick in one hand and hitting the drum while rock band starting to perform music in the club. 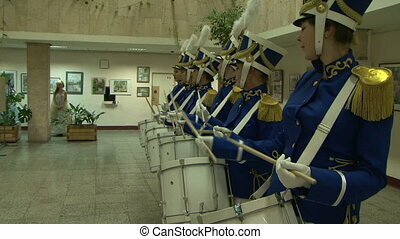 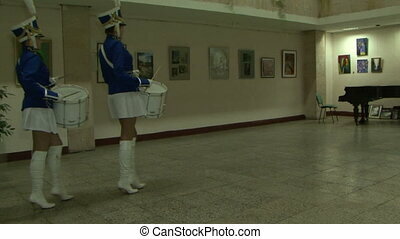 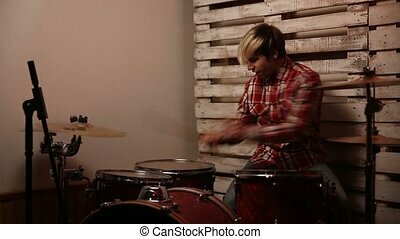 Young talented drummer playing his drum set and practicing while rehearsing with group members. 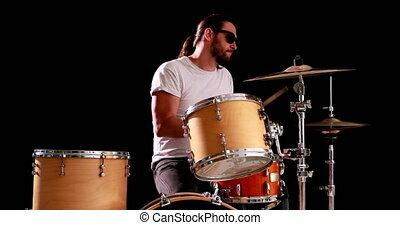 The drummer in action. 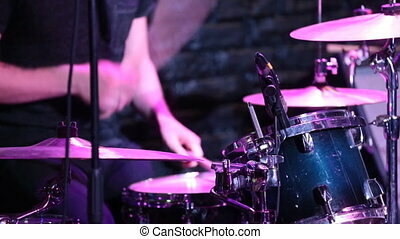 Young male musician playing his drum kit and cymbals while performing with band in the club. 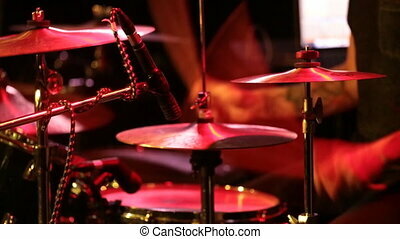 Middle section of man with drumsticks playing his drum set and metal cymbals during rehearsal in garage. 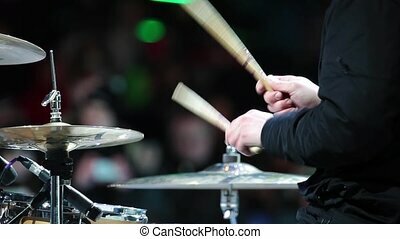 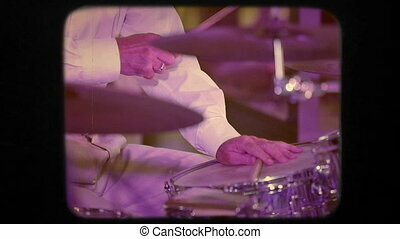 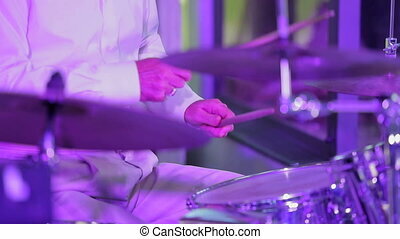 Close up of drummer's hands as he play's his instrument during concert. 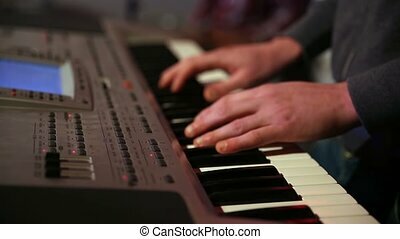 Close up hands of musician playing keybord in concert. 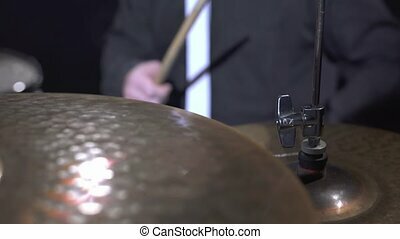 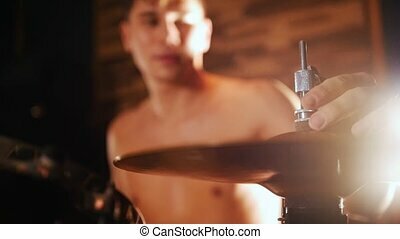 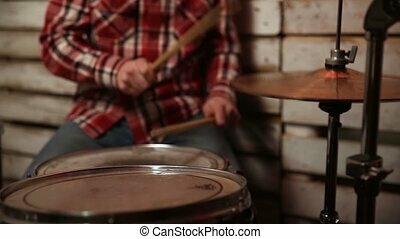 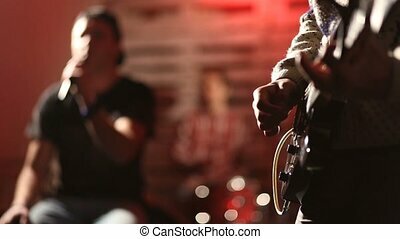 Focus on man's hands playing piano then focus on emotional stylish hipster drummer hitting his drum kit while group performing music in nightclub.